Thank you for your interest in becoming a WSA volunteer! The WSA is a non-profit organization run mainly by the parents of our players, although anyone can volunteer. We rely heavily on our parents to take on leadership roles including coaches, assistant coaches, managers, league directors, directors and president as well as other roles within the club. These volunteers work together to execute our club's mission of providing soccer to boys and girls in the community of Wilton. We could not run our club without the generous help of our parents. If you would like to donate some of your time to helping our club run smoothly for our youth soccer players, you are in the right place. If you are already a volunteer, please look under Programs for your specific program tab and you will find the resources you need to be successful. Our Intramural and Academy programs have a need for capable, enthusiastic parent coaches to guide our players. As we utilize a combination professional coach - parent coach model for both these programs, parent coaches are needed on game days. Parent coaches also double as team managers, providing team management and communication to participants and their families. Our Intramural and Academy Programs utilize league directors for game scheduling and management. They work closely with the parent coaches to ensure the seasons run smoothly. Scheduling games and facilitating tournament selection. Communicating club & team information to team members. Managing payments to referees and providing players passes at game time. Looking for a shorter volunteer commitment? 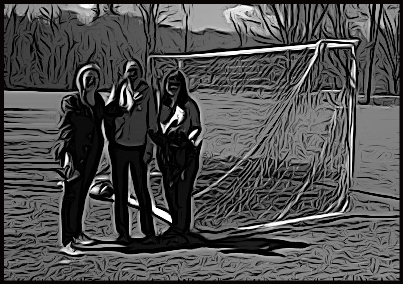 The WSA needs volunteers to set up the fields at the beginning of each season (goals and nets) and take them back down at the end. Please contact our Operations Director for details. We also need volunteers to help run our Opening Day Kick-off Celebration. Set up, clean up, selling raffles and selling food all require volunteers. Please contact our Fundraising Director for more details. The Directors who comprise the Board also serve as the Officers of the WSA. As officers, Directors are responsible for the adminstration of the WSA. The Board meets formally once a month through out the year, and spends considerable time outside of those meetings managing the programs and organization that is the WSA. The Board holds annual elections at the Annual Meeting, which is held the third Thursday in November. We encourage anyone who is interested in joining the Board to attend a meeting to learn more. Please contact any current board member who would be happy to answer any questions you may have. Already have or create a profile on our site. If you have an existing profile, please be sure your date of birth is included. You will not be able to volunteer without your DOB. Register for the appropriate volunteer program using the WSA registration system. Note: You must re-register for each season for which you will be a volunteer (Intramural & Academy/Rec Plus have separate fall & spring seasons, while travel has one combined fall-spring season). Complete a CJSA Background Check (instructions provided during registration). To see how to complete the CJSA background check, please read the CJSA Background Check Tutorial. Please Note: Your WSA profile name and DOB must match EXACTLY to your CJSA Background check information. If they don't match, you will not be officially registered with CJSA. If you are not officially registered, then you can not be a WSA volunteer.